How Far Should the Creationist Purge Go? Is a creationist historian worse than a socialist one? That’s the question science pundit Jerry Coyne is not asking. But he should be. 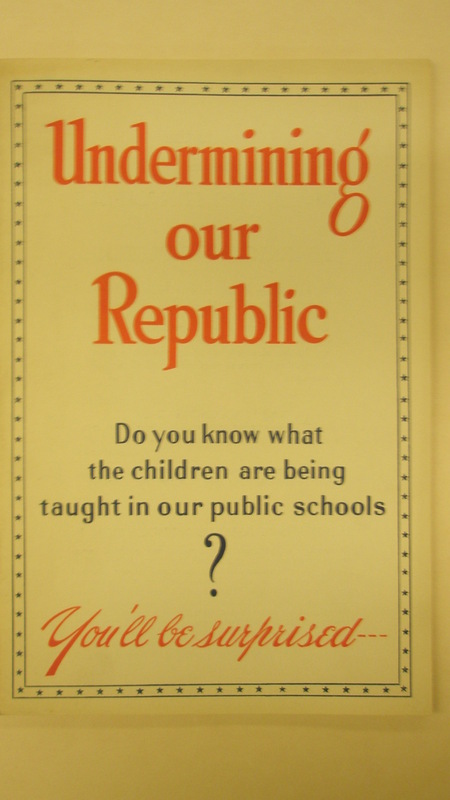 The 1941 report from the Guardians of American Education. Does Prof. Coyne really want to join this team? Like a lot of people, I’m a fan of Jerry Coyne. His tenacious attacks on all things religious are witty and smart. But in this case, his historical short-sightedness has caused him to blunder into dangerous terrain. Here’s the story: In his continuing campaign against creationism, Coyne and his allies have singled out the creationist activism of Professor Emerson T. McMullen. McMullen teaches history classes at Georgia Southern University. Based on Coyne’s evidence, it does seem as if McMullen injects a good deal of proselytization into his classes. Coyne and his allies in the Freedom From Religion Foundation wrote to the administration of Georgia Southern. They urged GSU to “investigate” McMullen’s teaching. They did not object to teaching about religious views, especially in a history class, but they did object to McMullen’s practice of pushing those views on students. This presents us with a difficult question: How far do we want to go in purging creationists from college faculties? We agree that McMullen’s teaching seems to cross over into preaching. But there are a couple of ominous historical parallels that Professor Coyne seems to dismiss too breezily. Nothing we have said here indicates that such study of the Bible or of religion, when presented objectively as part of a secular program of education, may not be effected consistently with the First Amendment. As Justice Clark specified, and as Professor Coyne acknowledged, the issue is not the teaching of religion, but the preaching of religion. As subsequent SCOTUS rulings have specified, public schools must not lend their imprimatur to religious preaching by either students or teachers. McMullen seems to be doing more than teaching about creationism. He appears to be using his authority as a teacher—dispensing grades and extra credit—to encourage students to repeat creationist-friendly ideas. Does this mean we should actively “investigate” all such teaching? That universities have a constitutional duty to get rid of any professors or classes that move from teaching about religious ideas to preaching the ideas themselves? I think not, for two reasons. First, university teaching is fundamentally different from K-12 teaching. The SCOTUS decisions about teaching and preaching have mostly dealt with younger students at public schools. Though Georgia Southern is a school that receives tax funding, its status as a university makes it a substantially different case from a high school, middle school, or elementary. The main issue in the Schempp verdict was that school prayer was something students could not evade. Such students were coerced, in effect, into listening to preaching. If, like the young Schempp himself, they have a pass to leave the classroom during prayers, they are still singled out by that action. In contrast, students in college have enormous freedom to select classes. The faculties, in most cases, are much broader and more diverse. In most public high schools, students are assigned to a teacher without much input. In college, on the other hand, students put together their own schedules. More important, Coyne doesn’t seem to grasp the tradition he would be joining if his McMullen campaign were successful, though Coyne nods to the importance of academic freedom. 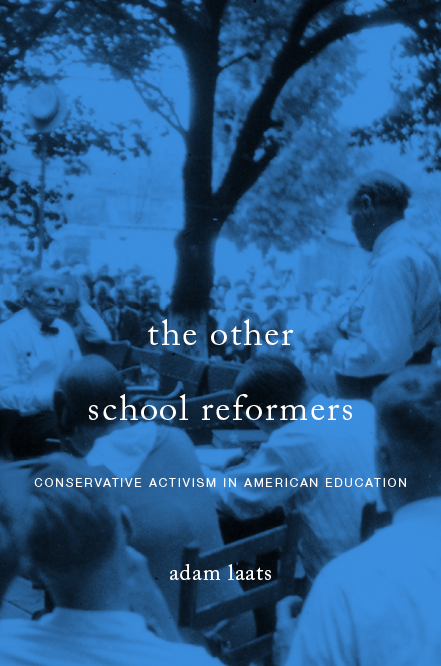 As I detail in my upcoming book, conservatives have conducted similar campaigns against leftist professors for decades. I doubt Professor Coyne wants to open up universities to allegations and investigations of ideologically suspicious professors. 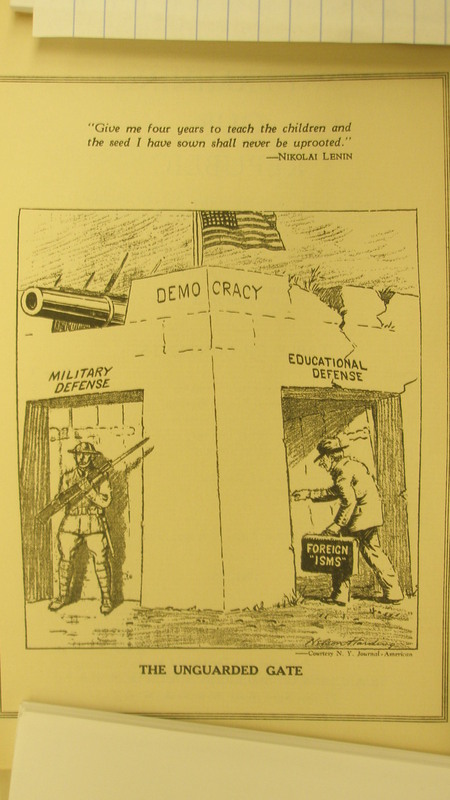 In 1941, for example, a group of conservative leaders from the American Legion and the Advertising Federation of America teamed up to encourage Coyne-like investigations of college professors. Their main target was Professor Harold Rugg of Teachers College, Columbia University. Should we guard the gate? Is this the sort of club Professor Coyne wants to join? In his earlier campaign against Eric Hedin at Ball State, Coyne alienated allies such as PZ Myers and Larry Moran. Both Moran and Myers thought that Coyne had gone too far in ignoring the sometimes-uncomfortable need to respect academic freedom. And that case was stronger than this one, since Hedin was teaching intelligent design as if it were mainstream science. So, back to our main question: How far do we want to go to punish professors for their views? What should we do? The purge is not the right approach. Instead, we should follow the model of Portland parents. When secular parents found out about preaching in an after-school club, they did not shut the club down. They couldn’t. The “Good News Club” had every constitutional right to do what it was doing. But the Portland parents realized that free speech and academic freedom cut both ways. They conducted a campaign to warn their fellow parents about the activities of the Good News Clubs. That should be our model here. We do not want to slide into witch hunts and creationist-baiting. We do not want to encourage universities to investigate and purge faculty for their beliefs. Instead, we can let students at Georgia Southern know what goes on in McMullen’s classes. The publicity campaign should not be targeted at the administration of Georgia Southern, but rather at its students. How far do we want to go in purging professors? In this case, Coyne goes too far.